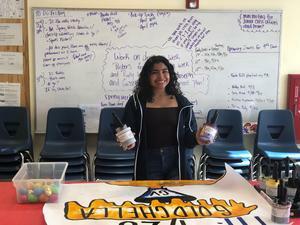 Sofia Bernal was elected to serve as the ASB President for Golden Valley High School for the 2019-2020 school year. 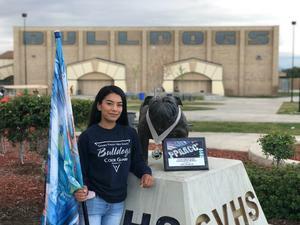 Sofia lives to serve the students of Golden Valley, her teammates on the swim team, and the community of Bakersfield through her various volunteer efforts. 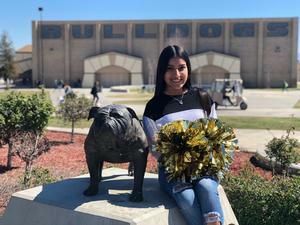 For her part, Sofia Bernal is #BulldogSTRONG. See what is going on at GV today. 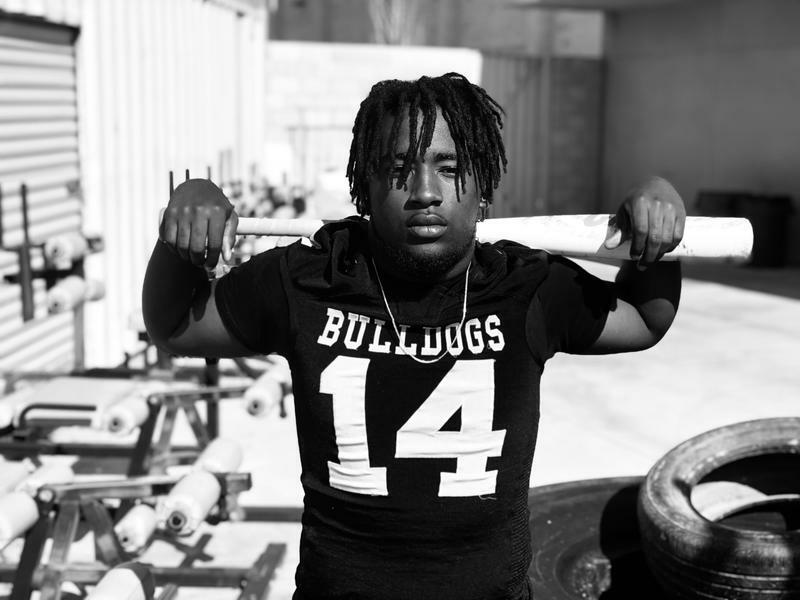 Dwayne Dickerson has a quiet intensity about him, but his loyalty to his community and his commitment to Golden Valley High School make him #BulldogSTRONG as he takes PRIDE in being a Bulldog. 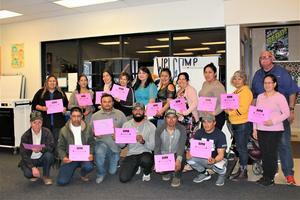 Parents, teenagers, and children have been attending Parent Project classes at Golden Valley in their quest to become #BulldogSTRONG. 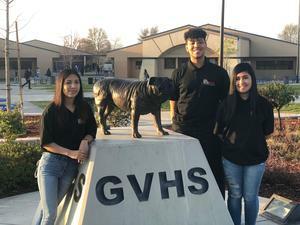 As vaping devices, marijuana, and tobacco products have plagued high schools campuses across Kern County and the state of California, three Golden Valley students are working hard to combat these drug issues. Amrariun Tyiska, Vivianna Patino, and Maria Gonzalez Reyes are #BulldogSTRONG because of their commitment to SERVE their school and community. 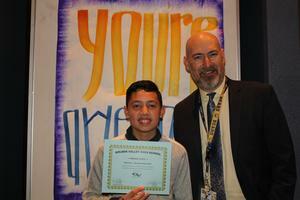 Last week, students involved in Golden Valley's Title 1, English Learner and/or Migrant programs were recognized for their academic achievements in the classroom. 2 years ago, Dhayanna Ramos moved to Bakersfield from Lima, Peru not knowing the English language. Today, through much GROWTH and PRIDE, Dhayanna has achieved much academic success, is proficient in English, and has involved herself in the culture at Golden Valley High School. For her part, Dhayanna Ramos is inspirational and #BulldogSTRONG. 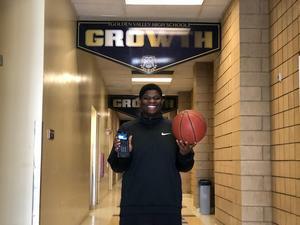 Derick Boye is #BulldogSTRONG as he cherishes opportunities to GROW, takes PRIDE in being a Bulldog, and in treating everyone that meets him with the utmost kindness, he demonstrates what SERVICE is all about at Golden Valley High School. For 20 years, Jamie Contois cut hair for a living and for her efforts, she was featured in Sports Illustrated. However, she knew that she had a larger purpose in life and for her, it was teaching English to high school students. 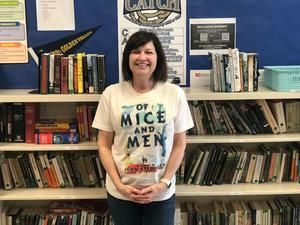 This year, Jamie Contois was selected as Teacher of the Year at Golden Valley High School as she is the prime example of being #BulldogSTRONG.